Experiments In Gluten-Free Baking | Live. Learn. Love. Eat. 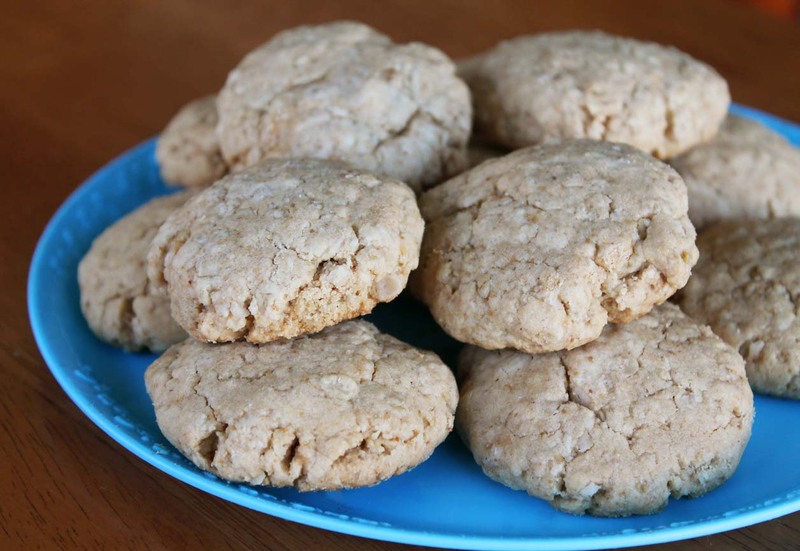 As promised in my last post, I am sharing two new vegan and gluten-free cookie recipes in my post today. I get a little intimidated by gluten-free baking when there are multiple flours and other additives like xanthum and guar gum involved in most recipes (plus I think that using so many ingredients can be pricey). So this time I just bought brown rice flour because it is healthy and something that I am familiar with for my first official gluten-free baking experience. I like to make things as easy as possible for myself, especially when it comes to preparing food and making recipes. Brown rice flour is also cheaper than some of the other flours that are gluten-free. I had been craving peanut butter cookies and so I made a recipe for peanut butter cookies and the girls wanted chocolate chip, so we made some of those too. 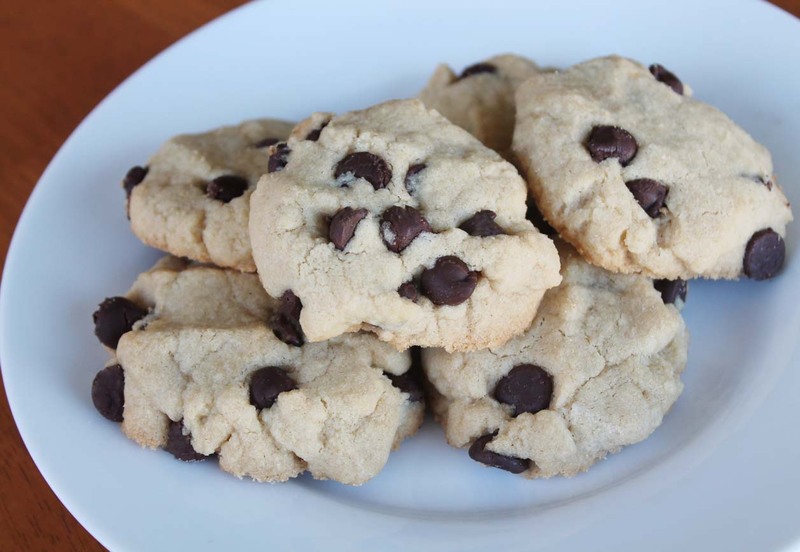 The recipes are both sweetened with pure maple syrup and adapted from my regular chocolate chip and peanut butter cookie recipes from my cookbook. Preheat the oven to 350°F and line your baking sheets with parchment paper. Combine the flour, oats, baking soda and sea salt together in a medium sized mixing bowl. In a small mixing bowl, whisk together the peanut butter, maple syrup, sunflower oil, and vanilla. Add the wet ingredients to the medium mixing bowl along with the dry ingredients and mix until combined. Roll the dough into 1 1/2-inch sized balls and place on the baking sheet, about an inch apart, pressing each cookie down slightly. Bake for 8 minutes, until very lightly browned. Allow to cool completely before removing from the pan. Combine the flour, baking soda, sea salt and chocolate chips together in a medium sized mixing bowl. Add the maple syrup, sunflower oil, and vanilla and mix until combined. Bake for 8-10 minutes, until very lightly browned. Allow to cool completely before removing from the pan. Let me know if you try these recipes out by leaving a comment below! So glad to see you posting yesterday and today! I hope you all are feeling better. The cookies look great! Yum! I have a bunch of brown rice flour that I bought at an organic shop’s warehouse sale, so I’ll definitely give these a try! I’m thinking I’ll combine both recipes to make peanut butter chocolate chip!